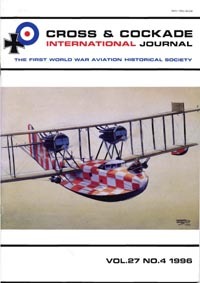 For over forty years Ray Vann, the late Mike O'Connor and Colin Waugh, researched the RFC /RNAS in the sideshows, concentrating on the RFC campaign in Mesopotamia. Mike and Ray began their research in the 1970s, before the advent of the internet; tracking down surviving officers and their families via squadron nominal rolls compiled from The National Archives and using records held at Somerset House. The results were beyond expectations with families allowing the copying of log books and diaries, plus photo albums that yielded in excess of 1,000 photos (with a further 2,000 images relating to the RFC in other side-shows). 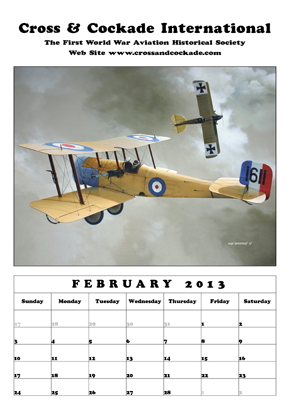 Families also helped by contacting RAF records in Gloucester, for copies of relatives' service records etc. 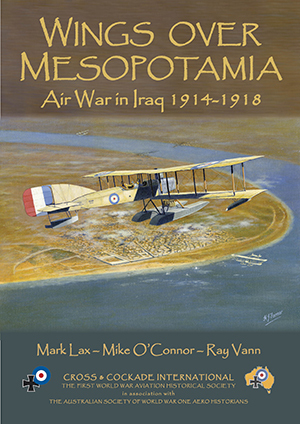 The Australian member and former President of the Australian Society of WW1 Aero Historians, Mark Lax, published a history of the air war in Mesopotamia in four parts in that society's '14 - '18 journal between 2005 and 2013. When contacted, Mark readily agreed to an expansion of his original articles, both in general text, and with the addition of nominal rolls, serial numbers etc plus many more photos that Mike and Ray had acquired. This completed history is a fitting tribute to a very much admired friend and fellow researcher who is sorely missed. 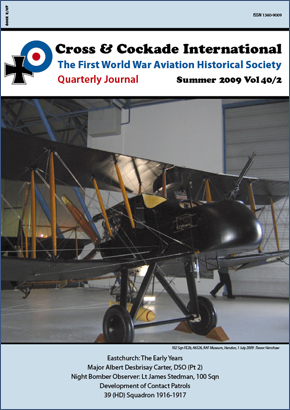 The book was launched at the Cross & Cockade International AGM, held at the RAF Museum, Hendon, on Saturday 22nd April 2017. The price of the book is £25.00 plus postage - check out the full details in our shop here. Would like to know when will this book be available for pre-order ?